Say the wrong things and you might get kicked off of your favorite social media platform. Tech titans Apple, Facebook, and YouTube have wiped out talk-show host Alex Jones’s social media presence on the Internet. But the social media crusades weren’t over. Facebook recently took down popular pages like Liberty Memes and hundreds of other prominent libertarian-leaning pages. In the wake of the Pittsburgh synagogue shooting, social media network Gab was on the receiving end of suspensions from payment processors like PayPal and Stripe and cloud hosting company Joyent. Although these companies did not provide clear explanations for their dissociation with Gab, the media had a field day when they learned that the synagogue shooter, Robert Bowers, had an account with the social media network. Should libertarians fear social media de-platforming? Or is this a case of private actors exercising their legitimate property rights by excluding those they wish to no longer do business with? Since the question of de-platforming has popped up, some conservatives have proposed state-based solutions to solve this problem. In a role reversal, conservative commentator Ann Coulter suggested that the government pass anti-discrimination laws to prevent social media platforms from de-platforming conservatives. Ideological consistency is a lot to ask for from seasoned veterans of Conservative Inc these days. 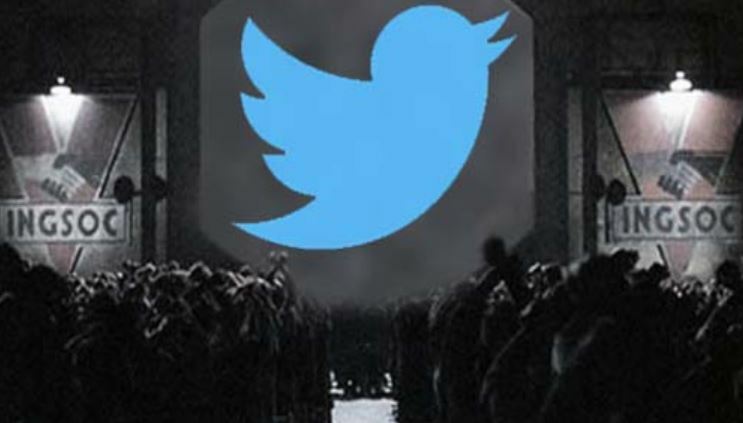 We need to apply the First Amendment to social media companies like Twitter, Facebook, and Google, because it is a public square, and there is precedent for that and it’s gotta be done, because this is really terrifying, and talk about chilling speech when they’re just throwing people off right and left. Although private entities are within their rights to decide with whom they do business, libertarians should not completely dismiss concerns about social media censorship. The first question we must ask: How separate from the State are these social media giants in the first place? This is the 21st century after all; a point where the United States has embraced over a century’s worth of government encroachments. Every nook and cranny of society—from the food we eat to the sporting events we watch,—has seen State interference. What happened in Iran changed his life. His entire world, his viewpoints and values were turned upside down and the emotional turbulence he experienced tore down his inner walls leaving him naked and vulnerable – like an open wound. After a tragic murder, the situation became unbearale for one of his Iranian friends, so he ventured everything to help him get away and together the mad a dramatic escape from Iran via former Soviet and East Germany in a desperate attempt to reach Sweden. This book is a true and emotional description of real people in improbable world full of conflicts. It opens doors and spreads light on another Iran, its people and also, not least, the political and social conditions in the country. It is permeated by passion and tension as well as human ideals such as non-violence, tolerance and love. When we look closely, Americans nominally own their private property, but this comes with a gigantic asterisk. Governments at all levels can regulate, micro-manage, and in extreme cases, expropriate property if the right political winds are blowing. All this wasn’t good enough for Sen. Chris Murphy (D-Connecticut), who demanded to know if the plan was to only take down “one web site.” No doubt he has a whole list of sites he’d like to take down. Even more ominously, it was revealed that a direct threat had been made to these companies by Sen. Mark Warner (D-Virginia), who sent out a memo listing all the ways the government could crack down on Big Data if they refuse to go along with cleansing the internet of “divisive” material. So much for the “ libertarian ” argument that these companies and the platforms they run are “private,” and not connected in any way to the governmental Leviathan. This is the kneejerk response of outlets like Reason magazine, but it’s simply not a valid position to take. The Communications Decency Act immunizes these companies against any torts that may arise from activities conducted on their platforms: they can’t be sued or prosecuted for defamation, libel, or indeed for any criminal activity that is generated by these Internet domains. Although no laws emerged from Senator Chris Murphy’s threats, the very act of social media giants kowtowing to political demands, tell us one thing: We’re living in an extortion-based political economy. You can keep your property, provided that you cave in to our political demands. If you fail to comply, hate speech laws will be shoved down your throat. The rabbit hole of government-private sector collusion goes even deeper. Facebook has been working with the Atlantic Council, a think tank funded by the U.S. government and other foreign governments, to fight “foreign interference” during the 2018 election season. Despite Silicon Valley’s libertarian leanings during its rise to prominence, it has frequently partnered with government institutions like the military-industrial complex. In sum, Silicon Valley is allured by the prospect of state privilege and has worked to cultivate it like every other crony entity in the U.S. Effectively, there is no democracy without such an unconditional symmetry in the rights to express yourself and the gravest threat is the slippery slope in the attempts to limit speech on grounds that some of it may hurt some people’s feelings. Such restrictions do not necessarily come from the state itself, rather from the forceful establishment of an intellectual monoculture by an overactive thought police in the media and cultural life.